Are you planning a bicycle tour or camping trip, but are unsure what type of sleeping bag to buy? 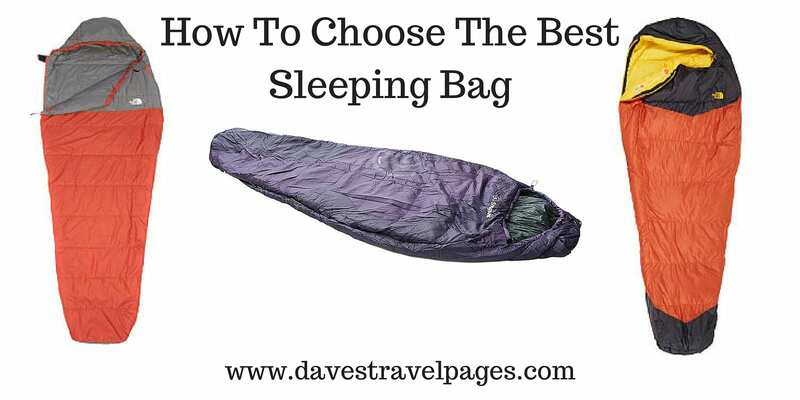 This guide on how to choose the best sleeping bag is designed just for you. Find out why the most expensive sleeping bag probably isn't the best one, and why size matters! Choosing the best sleeping bag is not as easy as you might think. There are a lot of factors to take into consideration, such as the climate it will be used in, the material it is made from, and its overall weight. We live in a culture where we are led to believe that the most expensive item is the best one, but this is certainly not the case with sleeping bags. 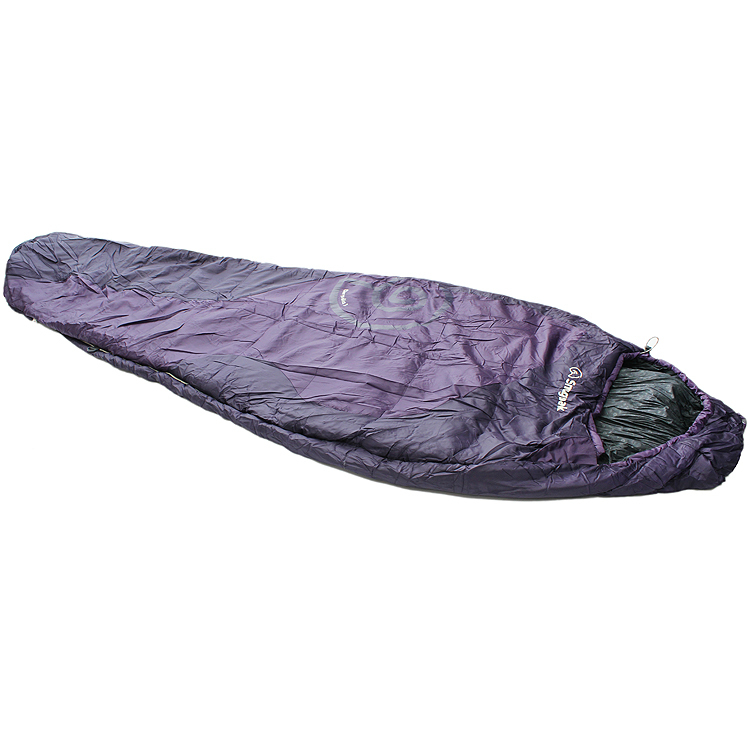 The reason is that the most expensive sleeping bags probably have specs for sub-zero temperatures, and unless you are planning an Antarctic Expedition, you simply aren't going to need it! This guide on how to choose the best sleeping bag covers all the main points you should take into consideration before you part with your hard earned cash. Why do you need a sleeping bag? People need to use sleeping bags in all sorts of different situations. It might be to go camping, bicycle touring, hostel backpacking, or to even keep in storage until guests stay over. The reason why you need a sleeping bag, no matter what the situation, is always the same though. It is to keep you warm when you sleep at night. 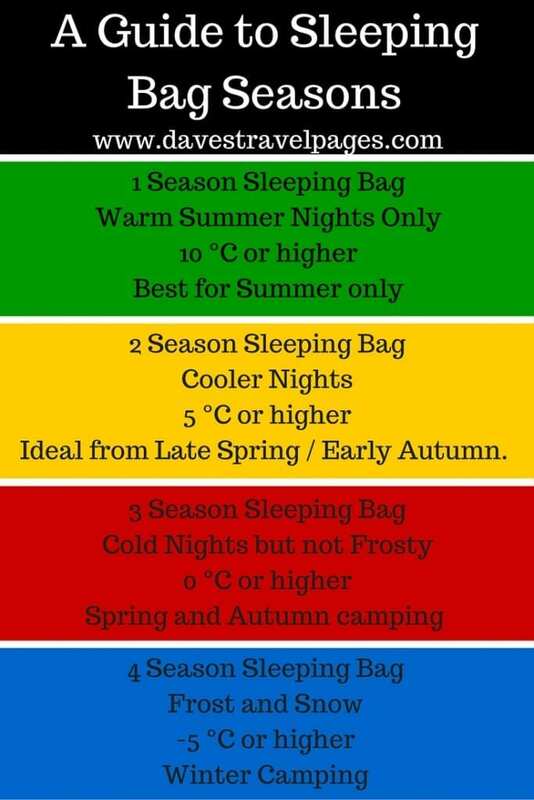 So, if you are planning a camping trip where the average night time temperature is 10°C, your sleeping bag needs to be up to the task. It is at this point that people often make a mistake though. I know what you are thinking – people buy a sleeping bag which isn't warm enough. Wrong! The most common mistake, is that people buy a sleeping bag which is TOO warm! They will buy a sleeping bag which can cope with temperatures down to -25°C, and then wonder why they are too hot! Fortunately, most sleeping bags are now marked up for the ‘season' that they are suitable for. Every manufacturer has a slightly different standard, but the general season guide for sleeping bags is shown above. Other things you should consider are weight, and pack size. This is particularly important for me when bicycle touring, and long distance hikers will also have concerns about the weight. Should I Choose A Down Sleeping Bag? Unless you are planning to camp out on super cold winter nights, I would say that the answer is no. 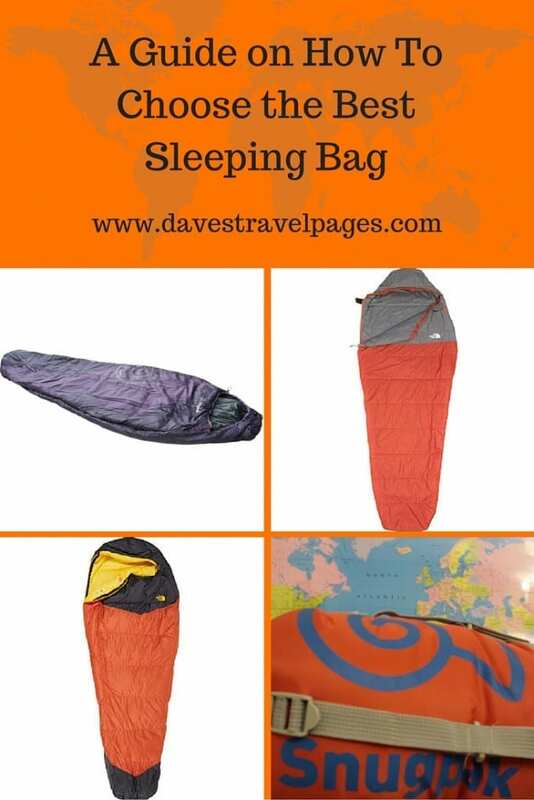 Synthetic sleeping bag filling has come on in leaps and bounds over the last couple of decades, and have quite literally revolutionised the design and capability of sleeping bags. 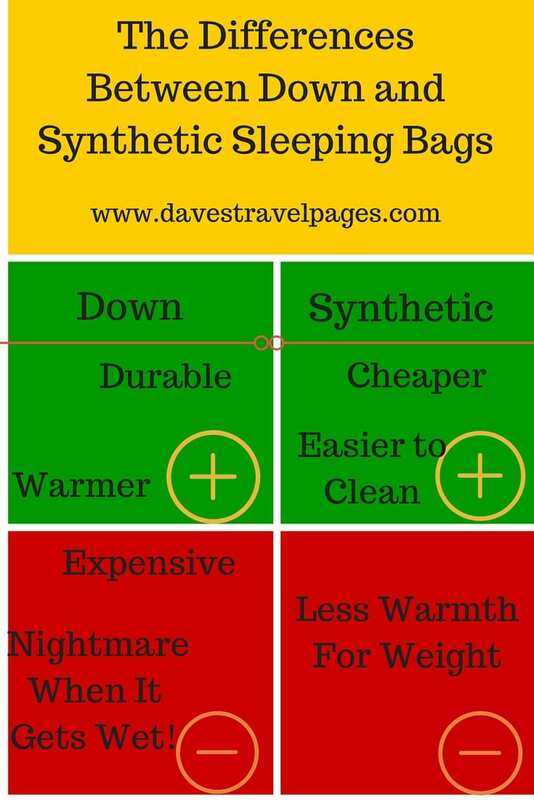 I have included the main differences between down sleeping bags and synthetic sleeping bags below. There are a few other things you might want to take into consideration when choosing the best sleeping bag. These include the design type (Mummy, rectangular, semi-rectangular), whether it can be zipped with another one if you are travelling as a couple, and the length. Balancing all these against your budget will result in the best sleeping bag most suited to your needs. One important note – One sleeping bag does not do it all. If you want to camp out all the year around, you might need two or even three sleeping bags. What Sleeping Bag Do I Use? My current sleeping bag, is a Snugpak Chrysalis 1. It was kindly given to me by UK retailer Webtogs, in order to use and review on my next bicycle tour from Greece to England, which starts in May 2016.It weighs in at 1kg, which is perfect for bicycle touring, and the temperature rating has a comfort zone of 7°C, which I believe will be just about right for the time of year that I am travelling. You can expect a full review at the end of my cycling trip!